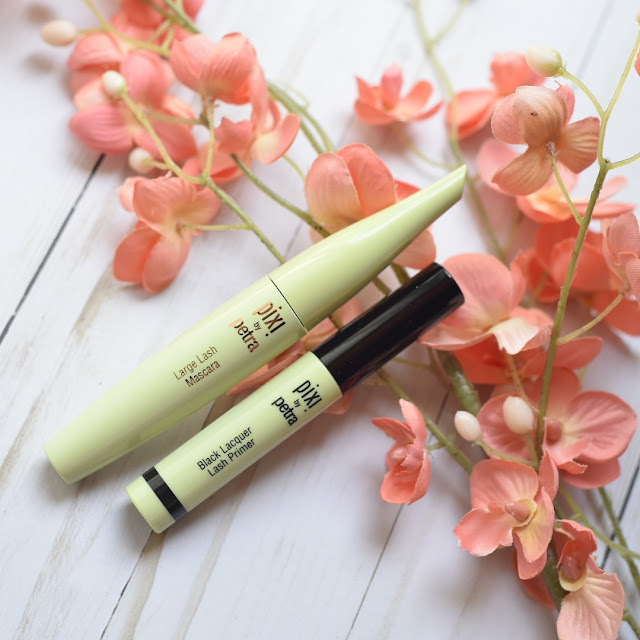 I was very excited to receive Pixi Beauty lash and eyeliner line. I have completely transformed my makeup vanity into a Pixi Shrine! I have had the privilege to sample a lot of Pixi products and have loved every. single. one. Let's look at these mascaras and liners! Let's start with the mascaras. 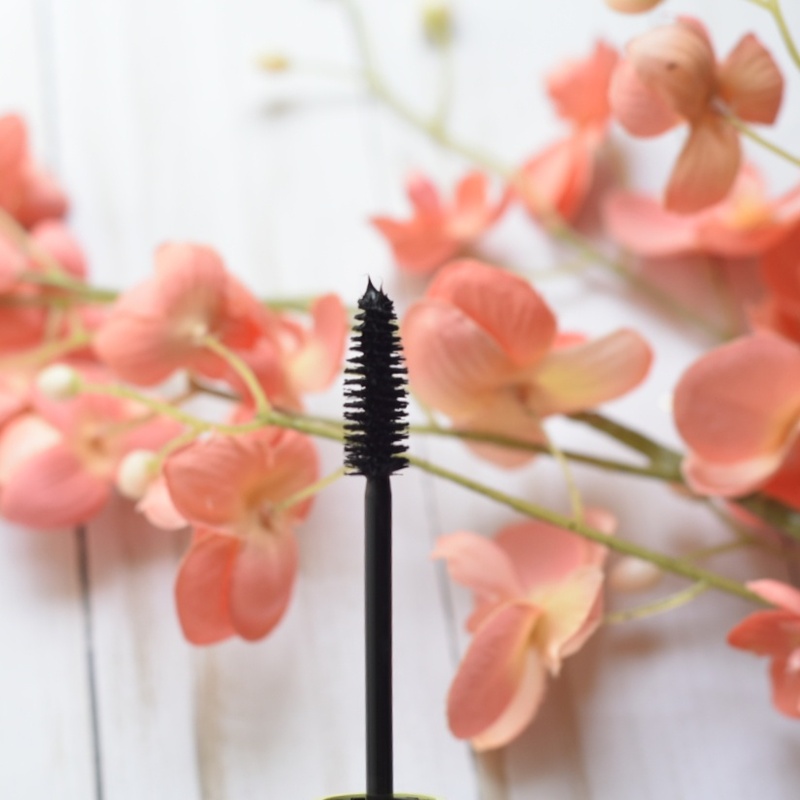 The Black Lacquer Lash Primer is a multitude black lash primer that plumps, protects, and preps lashes. $15. Love this product. 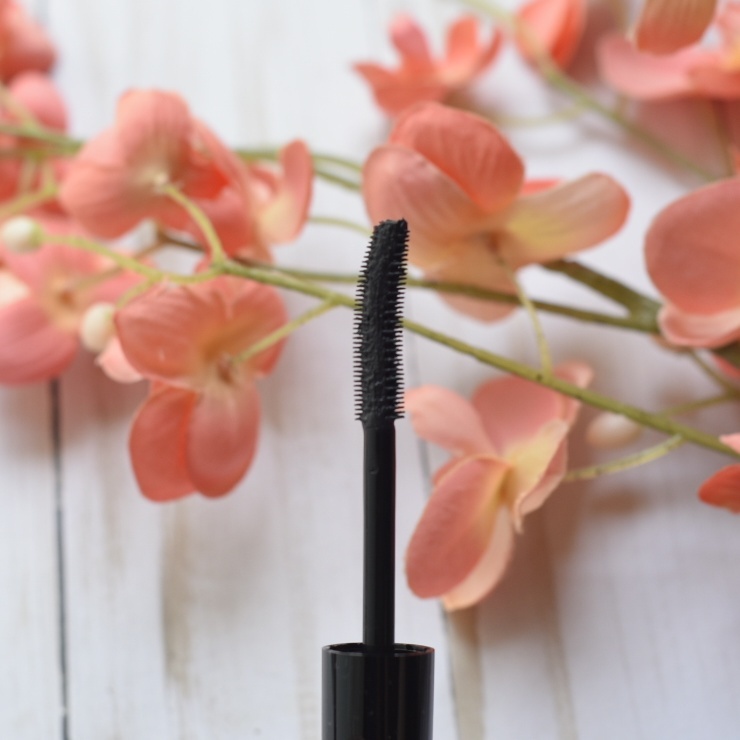 The Large Lash Mascara intensely volumes and lengthens for large lashes. It is smudge proof and water resistant. $16. I've been using the primer and mascara combo since I received my package. I love it. I have hooded eyes, so it's a necessity for me to have smudge proof and waterproof lashes. This combination worked amazing for me. 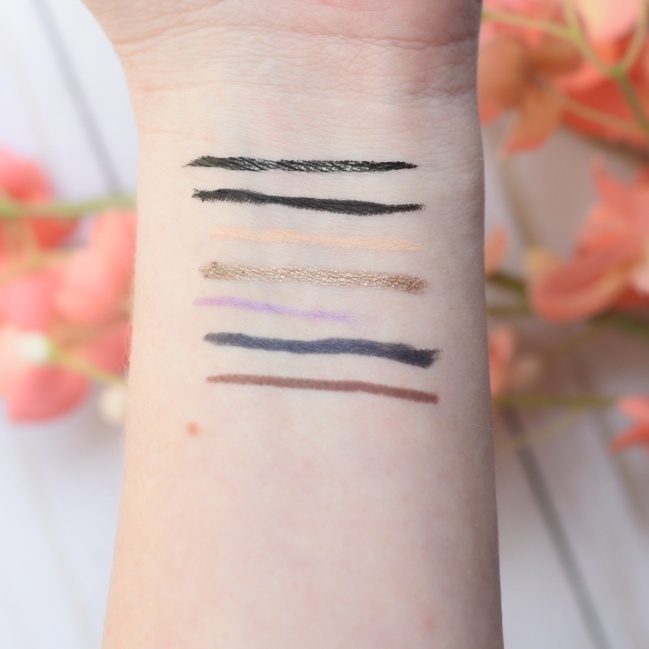 Lash Line Ink is a deep black ink liner. It applies so well. It's waterproof, non-feathering, and quick drying. This is my new go to tightliner. As I previously mentioned, I have hooded eyes, so tightlining is part of my everyday routine. this product does not transfer to lower lash line and stays put all day. $14. Eye Define Waterline is a retractable waterproof slim liner with intense, no-smudge color payoff and gentle application. $14. Eye Bright Liner is a waterproof inner rim liner used to brighten the eyes. I use this in combination with the Lash Line Ink. $12. 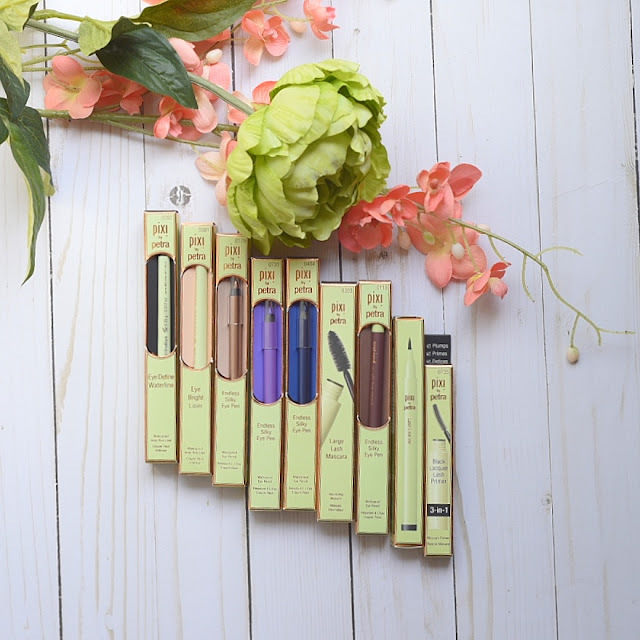 Endless Silk Eye Pens are award winning waterproof eye liners that glide on so well. The formulas are really amazeabells. You should really give this a try. They come in a range of colors: BackBlue, VelvetViolet, MatteMulberry, RoseGlow. I have to say, RoseGlow is hands down my favorite. $6 - $12. Pixi Beauty products are available at www.pixibeauty.com. Have you tried out any Pixi Beauty Products? Which ones are your favorites?